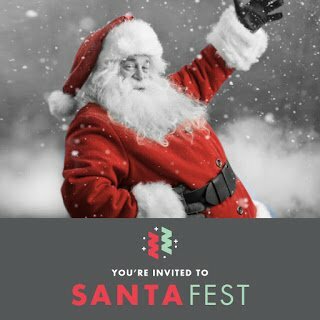 Update 11/17/17: SantaFest is now sold out! No more tickets are available. 🎅 Santa will be there! 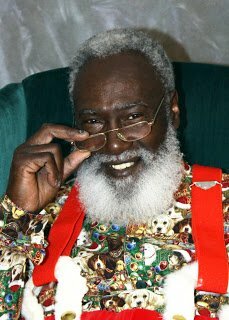 And not just any Santa: a jolly, naturally bearded, African-American Santa will arrive at Center Court (by Macy’s), along with his trusty crew of Rudolph, the Nutcracker, Holly and Tinker Elf, all ready to spread some holiday cheer! 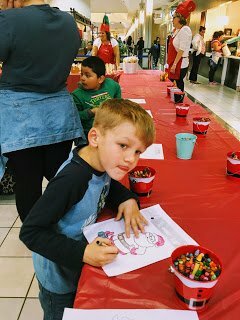 🎄 Kids’ Arts & Crafts! Hyattsville’s beloved Art Works Now will be there to guide kiddos through some awesome holiday art projects, including some DIY ornament making fun! Last year, my kids had a great time painting and decorating funky turkeys which they then gifted to the grandparents at Thanksgiving dinner. 💗 Tip: Bring extra wipes in case your kids enjoy painting detours, like mine do, and paint their hands…. Wee l’artiste, focusing on his craft! 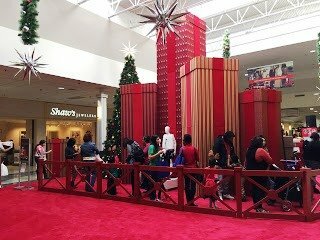 ⛄ Games & Prizes! 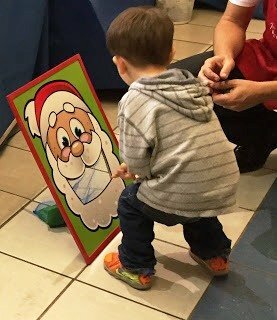 Kids can try their luck at playing Santa’s Cookies Bean Bag Toss and a Snowman Toss game. Last year, this kept the young ones happily occupied for quite some time! 🍪 Santa Cookies! After the kids have had fun checking out the art activities and games, MPG treats them to their own little bag of Santa cookies! We usually head to a nearby table/chairs to take in the sights and sounds. Speaking of, there’ll be a DJ playing holiday music during SantaFest as well as Rudolph and his crew strolling around to lead us all in some sing-alongs. Really a lovely time! While at MPG, look around and take in all of the good stuff happening there. New stores have opened and many more are on their way! 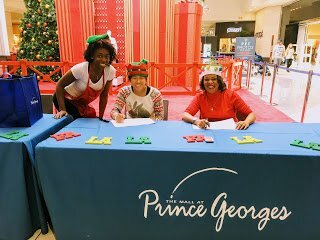 Read my post on the updates to the Mall at Prince Georges for an overview of what’s happened to date and stay tuned to Route One Fun for another update soon on the many more great changes to come! Mark Your Calendar! 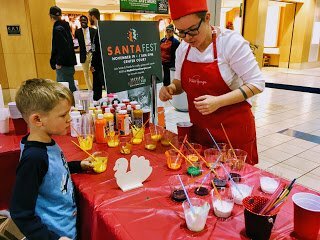 So, after you register for SantaFest here and PREIT Perks here, be sure to also make note of the Black Friday shopping hours at MPG (6am-10pm) and explore their many other fun holiday happenings here! Disclosure: This post was sponsored by the Mall at Prince Georges. The observations, opinions and humor, however, are strictly my own! Bummer! Sorry to hear it's sold out. One way to see these posts as they're published is to subscribe to Route One Fun (desktop, top right). Another rec would be to follow Route One Fun on Facebook as I share posts to FB after they're published, too. If anything changes re. SantaFest, I'll let you know! Glad you like the post, Ann! Do check it out and thanks for your feedback! This looks awesome, thanks for posting. Definitely plan on checking it out! Thanks for the feedback, M. Jolie! Hope you have fun!